Federal Circuit Vacates Fee-Shifting Sanctions. In AntiCancer, Inc. v. Pfizer, Inc., No. 2013-1056 (Fed. Cir. Oct. 20, 2014) (precedential), the Federal Circuit reviewed a district court fee-shifting sanction against plaintiff AntiCancer, which sanction was imposed as a condition of allowing plaintiff to supplement preliminary infringement contentions. The fee-shifting sanction was for fees and costs to the defense for bringing a summary judgment motion, with the basis being S.D. Cal. Local Patent Rule 3.1 relating to preliminary infringement contentions. However, because the sanctions were imposed under the “inherent power of the court,” the district judge had to make an explicit finding of bad faith. That was missing so that the fee-shifting sanction was vacated on appeal. B of A Securities Class Action Settlement Fee/Expense Award Affirmed. Earlier in April 2013, District Judge P. Kevin Castel (S.D.N.Y.) approved a $2.45 billion settlement in In re Bank of America Corp. Sec. Litig., a securities class action. Some objectors appealed the $152.4 million fee and $8 million expense awards to class counsel, arguing that a 3% cap on fee recovery should have been imposed (which would have meant the fee award could be no greater than $73.5 million). The Second Circuit, in Nos. 13-1573-(L) (2d Cir. Nov. 5, 2014), rejected objector’s challenges on appeal, finding that the fee award was no abuse of discretion under the circumstances and failure to impose a 3% cap was also within the decision making power of the district judge. Class Counsel Obtains Fee Award In Royal Bank Of Scotland Securities Case. 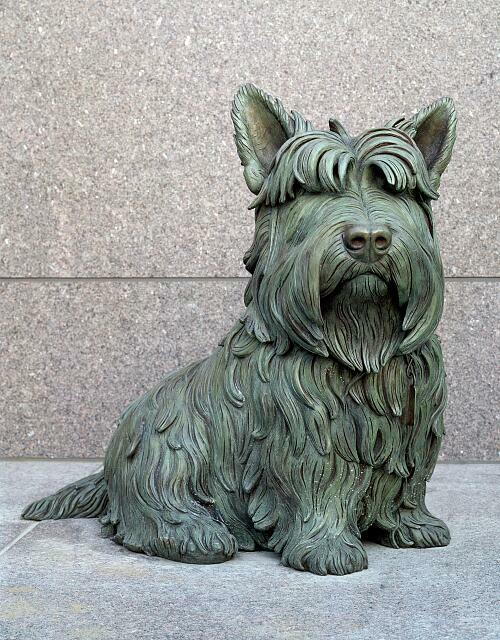 FDR’s Scotty, Fala. FDR Memorial. Carol M. Highsmith, photographer. Library of Congress. Class attorneys in a securities class action brought by certain employee health and pension funds against Royal Bank of Scotland Group PLC, accused of offering misleading mortgage-backed securities to investors, were recently awarded $47.65 million in fees—17% of the settlement fund—and $2.2 million in litigation expenses by District Judge Loretta A. Preska (S.D.N.Y. ).